It's the collaborative pop-up we’ve all secretly been waiting for. Artisanal bakers Luxe Bakery, Chef Brent Savage of acclaimed restaurant, Yellow, and premium vodka brand, Grey Goose have teamed up to bring the best of France to the streets of Sydney. Kicking off on Friday 21st August, Potts Point restaurant Yellow will be transformed into a boulangerie by day and restaurant by night serving some of the best pastries, food, and cocktails around for two weeks only (until Sunday 6th September). In addition to fresh bread and baked goods, you’ll also be able to grab a range of exclusive Grey Goose confitures at the daytime patisserie (a perfect croissant accompaniment if we do say so ourselves!). In the evening, things get even more delicious with a five-course tasting menu paired with Grey Goose cocktails. “La Boulangerie will fuse the best in quality and gastronomy through a unique cocktail and dining experience that Sydneysiders have not seen before,” Grey Goose Brand Ambassador, Andy Wren shares. 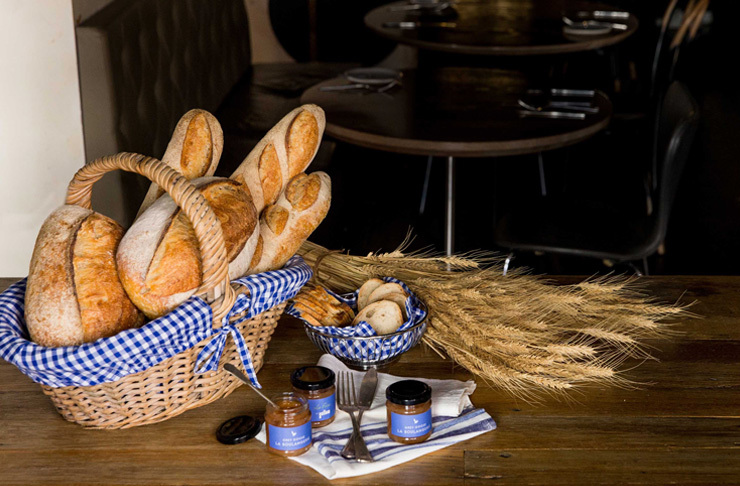 The idea behind this ingenious bread and bottle collaboration is the ingredient the two iconic French exports share. Both Grey Goose and the patisserie delights are crafted using the finest soft winter wheat from Picardy, the key ingredient that makes them the finest French goods on offer. The event is also extended to the iconic Yellow House building where, for three nights, there will be a bespoke martini bar (or Salon de Martini as they French would say) mixing up the best martinis in town. We’re guessing this is going to be popular, so get in early to get your martini on! Whether you’re a total Francophile or just love yours shaken not stirred, make sure you don’t miss this unique and exciting event. La Boulangerie is open from Friday 21st August until Sunday 6th September. Salon de Martini is open from Thursday 27th August until Saturday 29th August. For more details and bookings, visit www.greygooselaboulangerie.com.au.